Focus Dailies Toric 90 Pack Contact Lenses DISCONTINUED! If dryness of eyes is driving you away from using contact lenses, then Acuvue 1 Day Moist by Johnson & Johnson is your perfect solution. 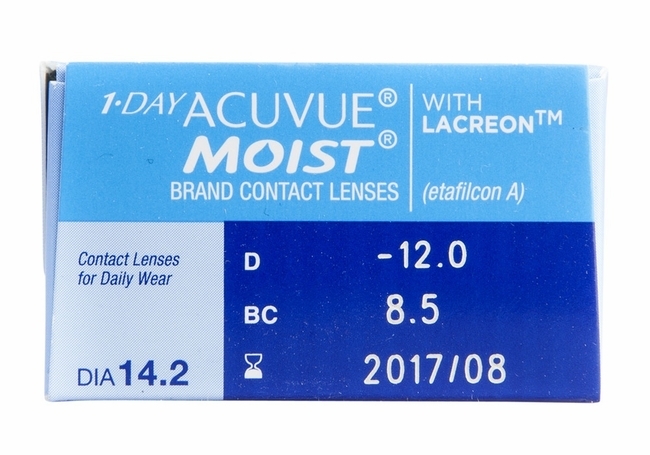 No matter how many times you blink, your eyes will never feel dry with the LACREON technology used in Acuvue 1 Day Moist contact lenses. Acuvue daily disposable lenses also free you from any infection risk and the hassles of handling messy lens solutions. These superior Acuvue contact lenses give you 82 percent UV-A and 97 percent UV-B protection. 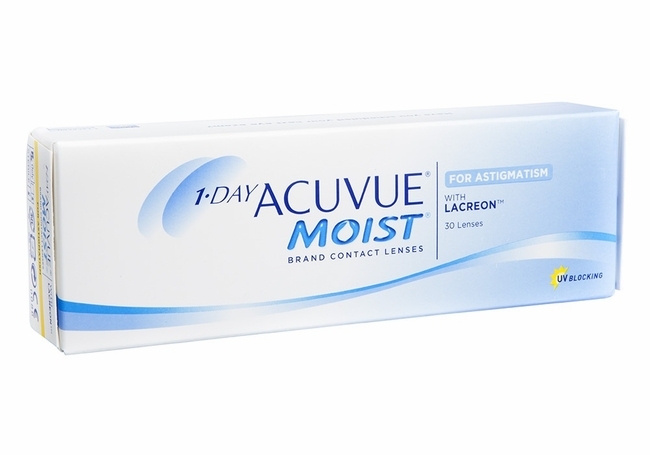 If you are an occasional contact lens wearer, then your choice does not get better than Acuvue 1 Day Moist contact lenses, where you can just discard them after a day s use. Sign up for the latest news, products and specials! � 2015 Contactsheaven.com, All Rights Reserved.